This story is a lighthearted adventure comedy. 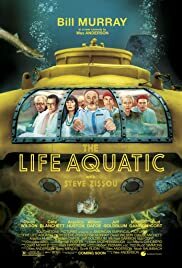 I too am guilty of being one of those Wes Anderson fans who salivate over all the small details but while watching this I quickly detached myself from the director and his style and previous work and just let "The Life Aquatic" take me along. And that's what you have to do. It's different from his other stuff in that it's more plot driven. There are some wonderful characters but they have to deal more with outside complications than internal struggles. 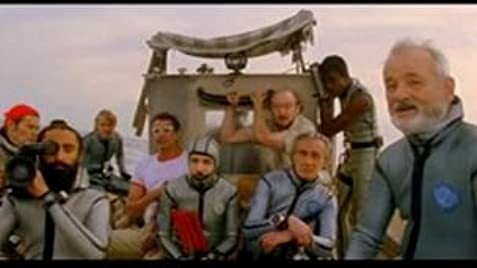 It is similar in tone and style to Robert Altman's "M*A*S*H," what with all the juggling of fighting and death (serious themes dealt with in an objective comedic manner). There's also some Fellini moments (it was mostly filmed at Cinecitta). I loved it. Don't go into this film as a biased hipster Wes Anderson fan, clean the slate and take it with an open mind. It's certainly sillier than Rushmore or Tenenbaums, but it's just as ambitious and exponentially courageous with shots and tone. To reiterate: more action oriented, funny as all get out, and quite possibly the funnest I've had in a theater all year. 186 of 307 people found this review helpful. Was this review helpful to you?